Letus Announces New HDSLR Gear! Got an email today from Letus introducing their line of gear for HDSLRs. Without having seen these devices, I have to say I’m impressed. I’m impressed with the restraint it must have taken to hold the individual configurations from the market place until they were all completed. I’m also impressed with the build quality, if they are everything they appear to be, these should be some fine pieces of equipment. The “Hawk” viewfinder is a radical new design and doesn’t resemble anything on the market. According to Letus, “we were not satisfied with viewfinders on the market so using our knowledge of optics, we decided to build our own.” Unlike others on the market, the Hawkeye uses totally custom optics designed and manufactured by Letus using 3 lenses in 2 groups rather than a single, off-the-shelf diopter. Cost: $385. They even have a cage! 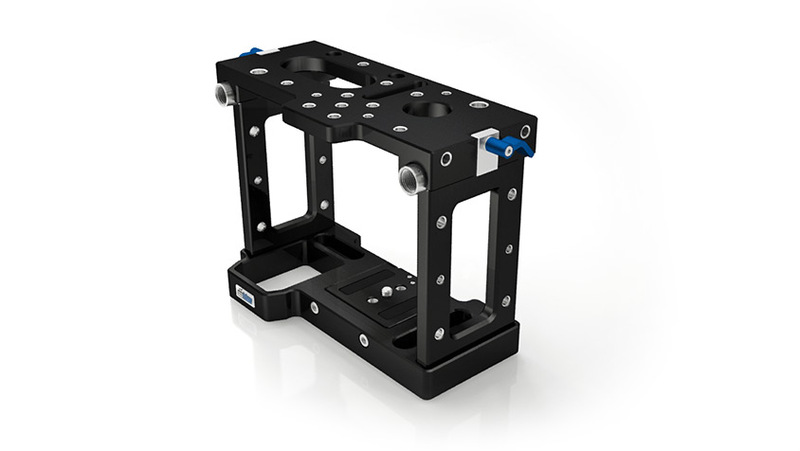 The Letus Talon DSLR cage has a releasable camera plate along with a sliding / removable top bridge. The camera plate can be attached from the bottom or the front of the cage for easy camera removal when transporting. The top bridge can slide on standard 15mm diameter rods. Price: $699. You can find all of these items and their entire line of HDSLR gear at http://letusdslr.com/.